Are Sub-prime Mortgage loans available? Is the Subprime Mortgage Market Rebounding? 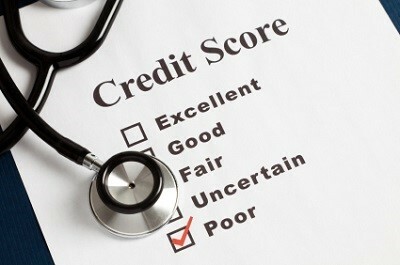 During the onset of the housing crisis, bad credit borrowers weren’t allowed to get close to obtaining a mortgage loan. Now, a small number of lenders are once again offering subprime mortgages to borrowers with a credit score less than 640 - some will finanance loans in the 500s. Now, it might seem like that this is the beginning of what will ultimately lead to a second housing crisis. However, most lenders are being more careful this time. In the past, subprime mortgages were given to borrowers who had no money for a down payment with low mortgage rates. Now, bad credit borrowers are still being given the option to take out a loan, but are being charged high interest rates (between 8-10%) and are required to have higher down payments (anywhere between 25% and 35%). Some have been speculating the motivation behind these revamped subprime loans, and the answer is simple: to turn more people into homeowners. Many families either have ruined credit from past foreclosures or have simply never built up credit, but have the cash reserves available to supply a home loan. Therefore, the target for these loans is first-time homebuyers and former homeowners. The subprime mortgage might be back, but let's hope it's back with an added sense of security and safety. The housing crisis was one of those situations that cannot be forgotten and policymakers have created new rules to remind us.